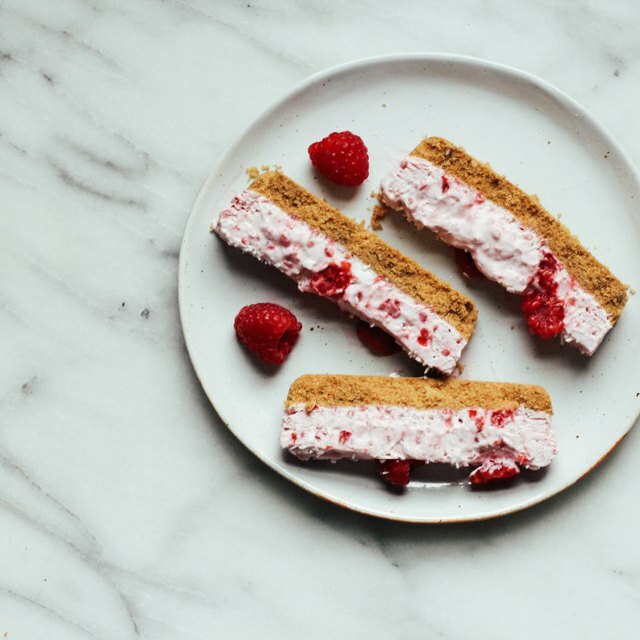 If you haven’t noticed by now, I’m a huge fan of healthier, no-bake desserts. Not only are they easier and less time-consuming than their baked counterparts, many of them can be stored in the freezer for weeks on end … meaning if you make this now, you can take it out of cold storage come mid-December and it’ll be good to go for your holiday work soiree. The only downside to these healthier, no-bake desserts is that most of them require the use of a food processor to pulverize the nuts, oats and dried fruit. If you don’t have a food processor, I highly recommend looking into purchasing one (many of which you can snag for less than $150 on Amazon) because they have a number of fantastic uses aside from creating no-bake desserts. I have a fairly old (seven years and still going strong!) KitchenAid processor and can honestly say it has been more than worth the investment. If you have a food processor and are looking for a few more no-bake holiday desserts, check out my recipes for pecan pie, chocolate-coconut slice and almost-raw cheesecake. Notes: If you’d prefer to swap the almonds with pecans, walnuts, or your favorite seed, knock yourself out. Pecans and hazelnuts tend to be my favorite, but those can be pretty pricey this time of year. I’ve prepared this tart in a small, 6-inch springform pan, but you could just as easily prepare it in a tart pan that’s up to 8 inches in diameter. If you want to make a tart that’s 9 inches or larger, you’ll want to at least double the filling recipe. Line the bottom of a 6-inch springform pan with parchment paper and spray with oil; set aside. In a food processor fitted with the S blade, blend the almonds and oats into a fine meal. Add the dates and pulse for 20 to 30 seconds, until the dates are thoroughly combined. Add the water and pulse just until the mixture turns crumbly. Press the crumbles into the bottom of the prepared pan and set aside. Remove the can of coconut milk from the refrigerator and open it. Scoop the white layer of cream off the top and into a large mixing bowl; discard the water or save for use in smoothies. If your milk fat is solid and not spoonable, use a hand mixer, on high speed, to beat the coconut milk fat for 30 to 45 seconds; set aside. In a double boiler over medium heat (or in a microwave), heat the chocolate chips until melted. Pour the melted chocolate over the coconut milk fat and whisk just until combined. Pour the mixture over the crust, then transfer to the freezer to set (about 4 hours). 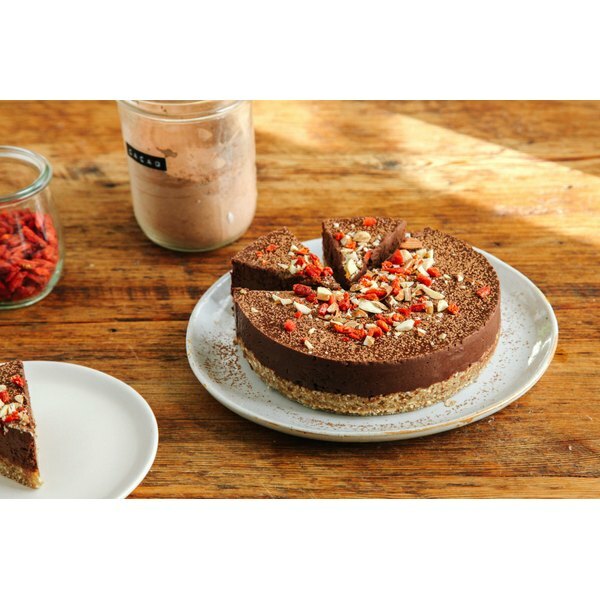 When you’re ready to serve, top the tart with cacao powder, chopped almonds, and goji berries (if desired). Let sit at room temperature for at least an hour. Tart will keep in the freezer for up to six weeks or in the fridge for up to one week.